One Country. One Flag. Nation KFLG 94.7 FM playing today’s new nation and your untouched top choices. K-Flag includes live and neighborhood identities in the Tri-State territory. Tracy, Tammy and Friends weekday mornings from 6am-10am with neighborhood news, climate, amusements, prizes, challenges and sponsors. The 90’s at Noon each weekday from Noon-1pm an extraordinary oldie but a goodie with 90’s Country craftsmen Garth Brooks, George Strait, Reba and that’s only the tip of the iceberg! Taken after by Radio Veteran, Craig Powers, and his steed Tyrone driving you home from 3pm-7pm! Listen to the Top 5 at 5pm each weekday evening! 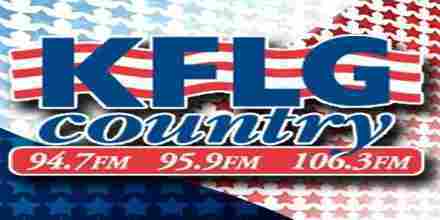 On the weekend K-Flag highlights Classic Country Sunday Morning from 5am-10am, trailed by Double-Shot Sunday with 2 consecutively from your most loved nation bunches specialists and vocalists! K-Flag is likewise the home of the 8 Song 30 minute Free Ride with 30 Big Ones In A Row each hour throughout the day! 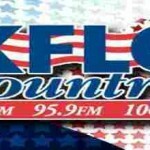 Tuesdays are 2 For Tuesdays with 2 consecutively from your most loved nation gatherings and specialists, news, climate, challenges, are dependably a piece of our live and neighborhood shows on KFLG 94.7 FM, spilling live every minute of every day.